It may not feel like Summer in the United Kingdom, we have joked that British Summer Time (BST) should be changed to British Soggy Time after all the bad weather, but the Summer edition of Prehistoric Times has just arrived. Prehistoric Times is a magazine dedicated to all things to do with dinosaur and prehistoric animal models and collecting. It also contains lots of information and articles related to fossil discoveries as well as tonnes of reader submitted artwork and illustrations. The Summer edition features Giganotosaurus, perhaps the largest carnivorous dinosaur known to science (although Spinosaurid fans may dispute this). The magazine’s Phil Hore has provided a highly informative article about this South American giant. 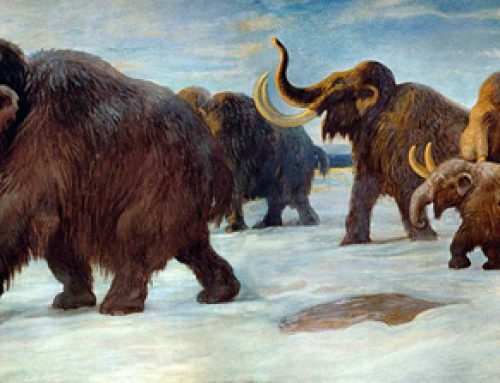 The other type of prehistoric animal featured – the Oreodonts (prehistoric mammals) provide a nice contrast and it is great to see this important group of animals and their thousands of fossils discussed in this magazine. Tracy Ford’s contribution is a fascinating article on how to illustrate (or not illustrate) the skull fenestrae of Theropod dinosaurs and there are well-written articles on new museum exhibits at the Houston Museum of Natural History (Texas) and the Peabody Museum. Some of the artwork submitted by readers is truly amazing. We particularly loved the Giganotosaurus illustrations by Damir Martin and the close up of those fearsome jaws by Robert Nicholls. The artwork sent in by younger fans (Kretaceous Kids Korner) made us jealous, they are all much better than we could do. Lots of model and replica reviews plus updates on new model introductions as well as information relating to the latest dinosaur and other prehistoric animal discoveries – certainly a jam packed edition of this quarterly magazine. Prehistoric Times is now available digitally with electronic versions available for various applications – very clever.